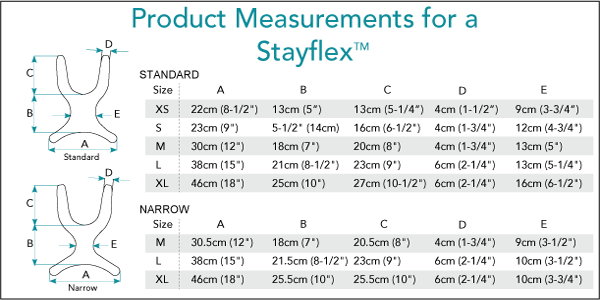 The Stayflex™ Chest Support gives users needing trunk control, firm support without sacrificing comfortable shoulder movement. The patented "dual-zone" elastic construction virtually eliminates shifting upwards at the neckline as the user leans forward reducing the risk of strangulation. Made of carefully selected materials that combine to provide the optimal balance between stretch and resistance, the Stayflex is the best choice for long-term stability and performance. As always, a pelvic support should be worn with any anterior support product.